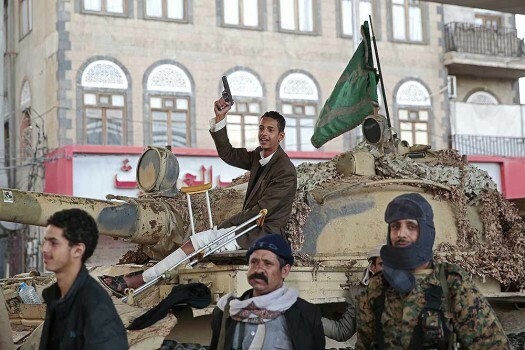 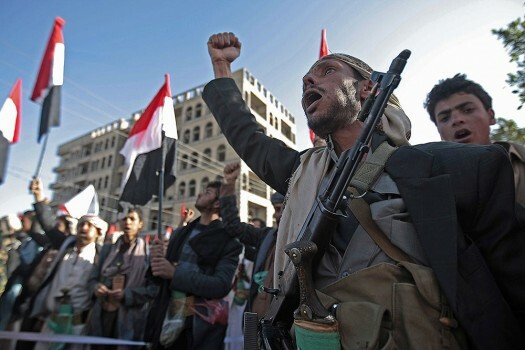 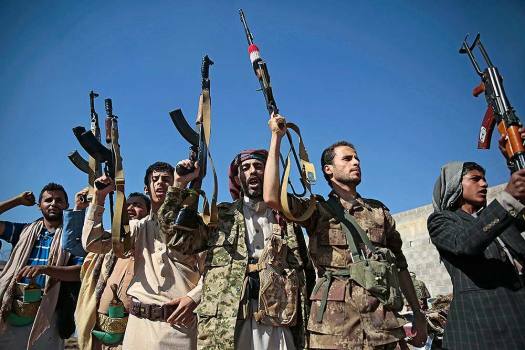 Tribesmen loyal to Houthi rebels hold up their weapons as they attend a gathering to show their support for the ongoing peace talks being held in Sweden, in Sanaa, Yemen. 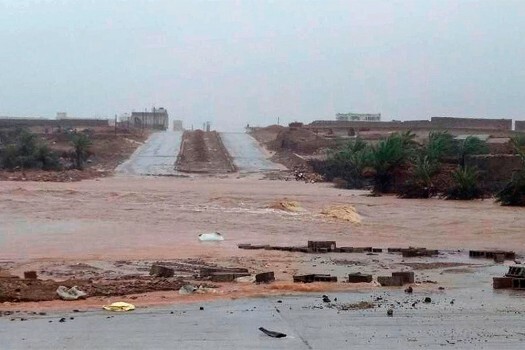 Men stand in water on a flooded road after heavy rain and strong winds caused damage in Hadibu as Cyclone Mekunu pounded the Yemeni island of Socotra. 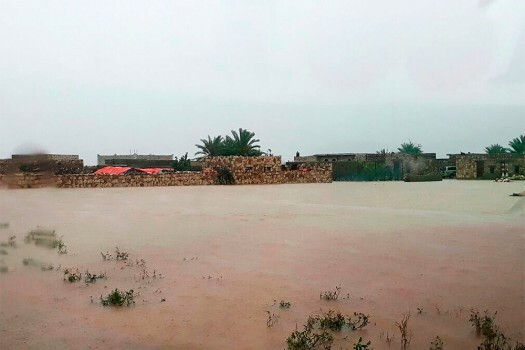 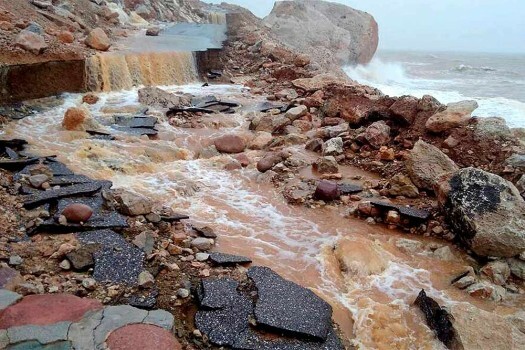 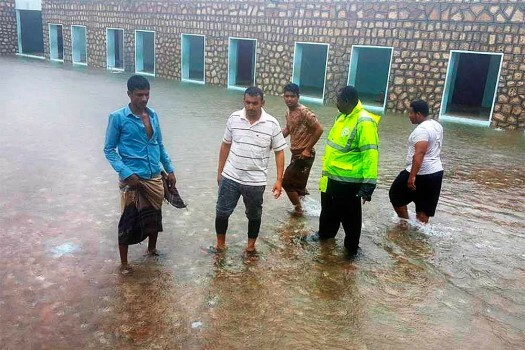 Heavy rain and strong winds cause flooding and damage in Hadibu as Cyclone Mekunu pounded the Yemeni island of Socotra. 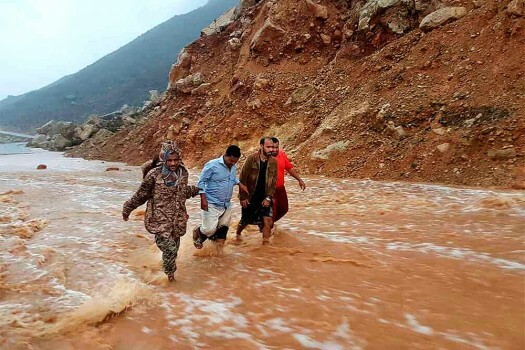 Men walk on a road flooded after heavy rain and strong winds caused damage in Hadibu as Cyclone Mekunu pounded the Yemeni island of Socotra. 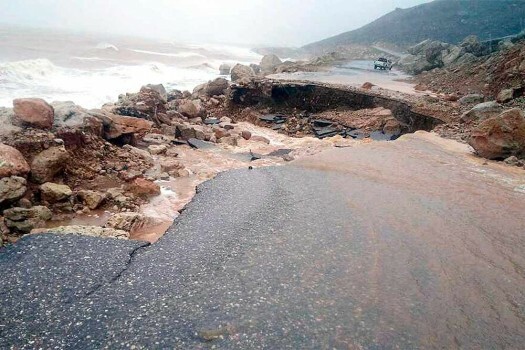 Heavy rain and strong winds caused damage in Hadibu as Cyclone Mekunu pounded the Yemeni island of Socotra. 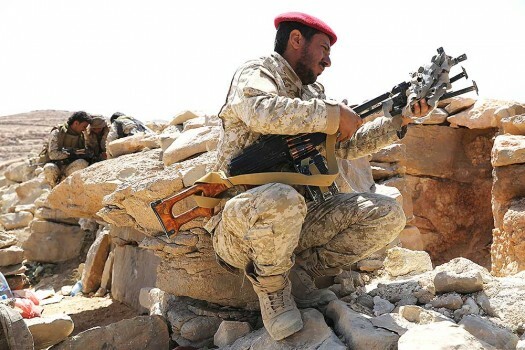 A Yemeni soldier allied to the country's internationally recognized government unslings his machine gun on the outskirts of Sanaa, Yemen. 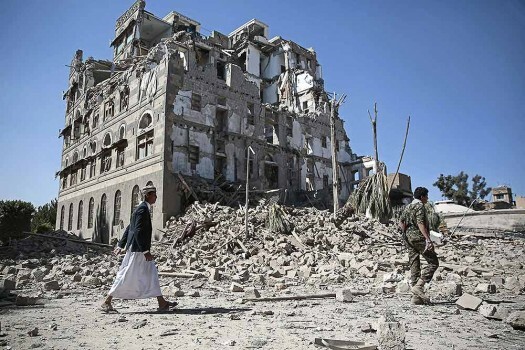 Houthi Shiite rebels walk amid the rubble of the Republican Palace that was destroyed by Saudi-led airstrikes, in Sanaa, Yemen. 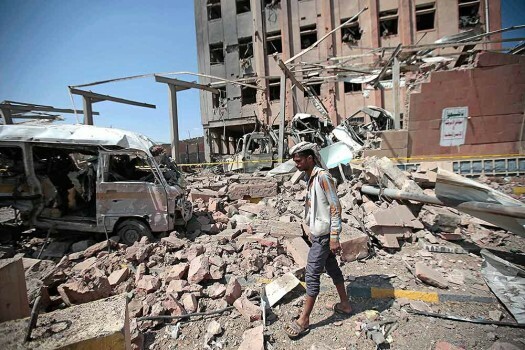 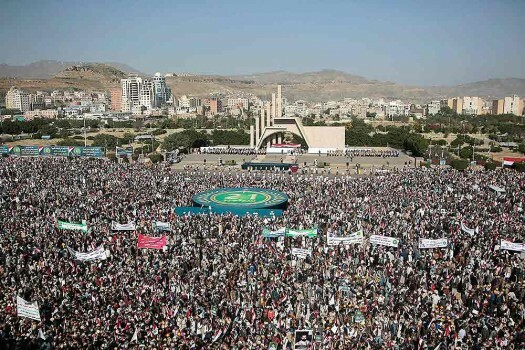 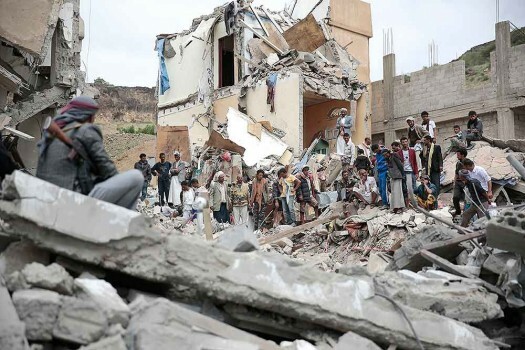 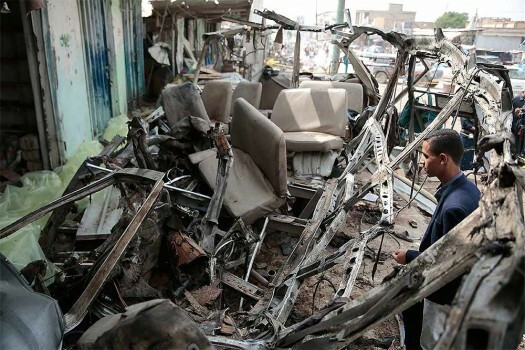 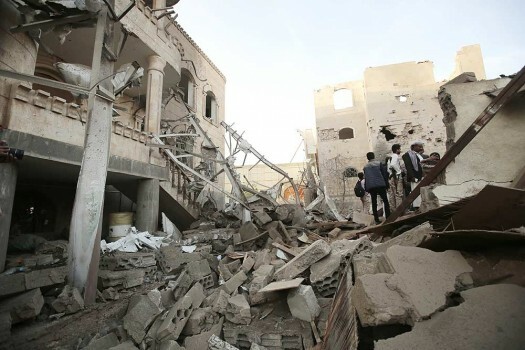 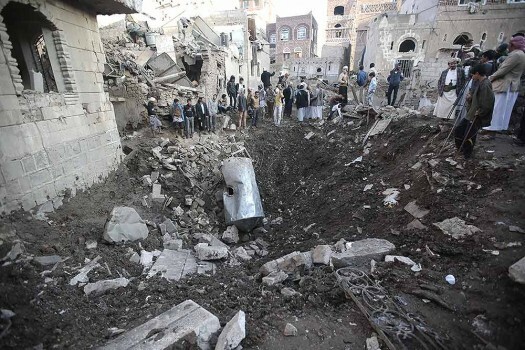 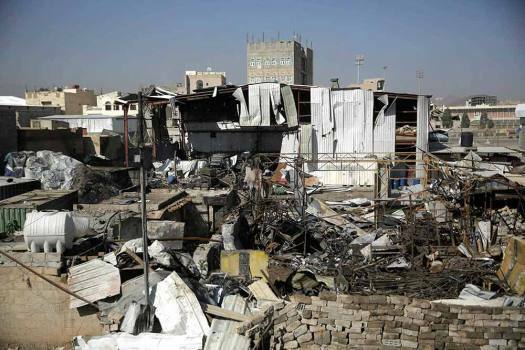 People gather at the site of a Saudi-led airstrike near Yemen's Defense Ministry complex in Sanaa, Yemen. 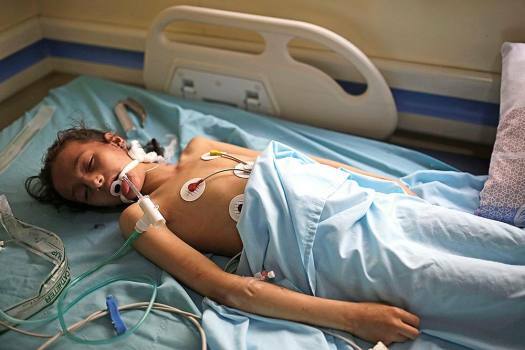 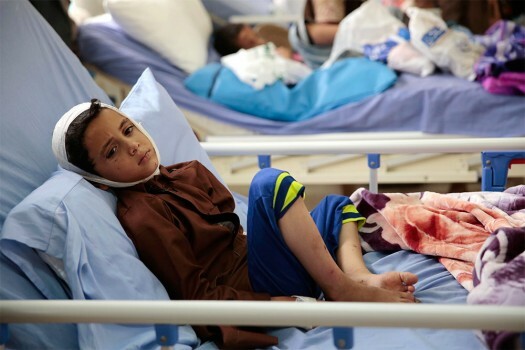 The snap gave goosebumps to crores of people across the world and also brought attention to lakhs of children suffering from malnutrition owing to the aftermath of Yemen's devastating civil war.